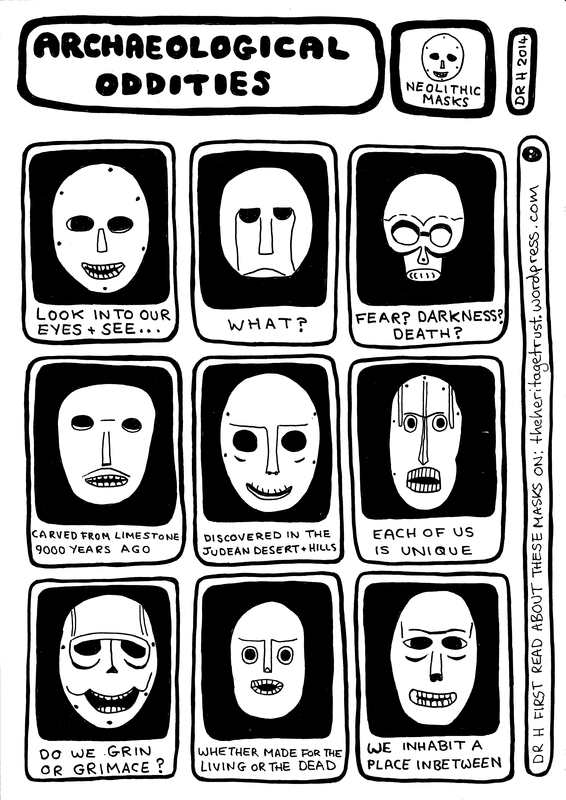 I came across these amazing masks on The Heritage Trust’s excellent website. You can read other Archaeological Oddities here. Ha! This so takes me back to the paper on Middle Eastern Neolithic plastered skulls I wrote during my last year of undergrad. I read that some of these masks are found in the same contexts as skulls, and may have been tied/fixed to them, so they may have been closely related to the practice of plastering skulls.